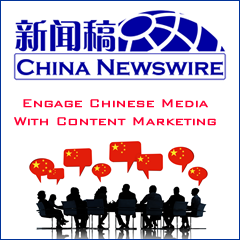 America Online finally opened its Chinese website on September 9, 2008. Before the formal launch of its full homepage at chinese.aol.com, the website launched several sections in July 2008, including news, finance, entertainment, science and automobiles. At present, apart from these sections, AOL's Chinese website now also has sports, fashion, pictures, videos and Olympic sections. A search engine supported by Google is embedded in the first screen of each of these sections to help netizens find what they want conveniently and efficiently. At the same time, email boxes with a suffix of mail.aolchina.com are also put into use. The opening of AOL's Chinese website is an important step for AOL's return to the Chinese mainland market. Early in 2001, AOL set up a joint venture with Lenovo and the two companies jointly invested USD100 million in promoting a Chinese portal FM365.com. However, the joint venture was unsuccessful and was closed in 2004. Previous to that, AOL invested in China.com, which too proved an unsucccessful venture. In April 2008, AOL unveiled its research and development company named Aolong (Beijing) Technology Development Co., Ltd. in Beijing as a preparation for the launch of the website in China. The company earlier this year also launched a website for Hong Kong.